Here is the newest entry of my little project, this one was a pain. I think I was sold on one color scheme throughout the concept stage, which evolved into a top wall, which led to much frustration to the point where I redid the whole top half about three hours ago. Three photography sessions later, I would love to present this. 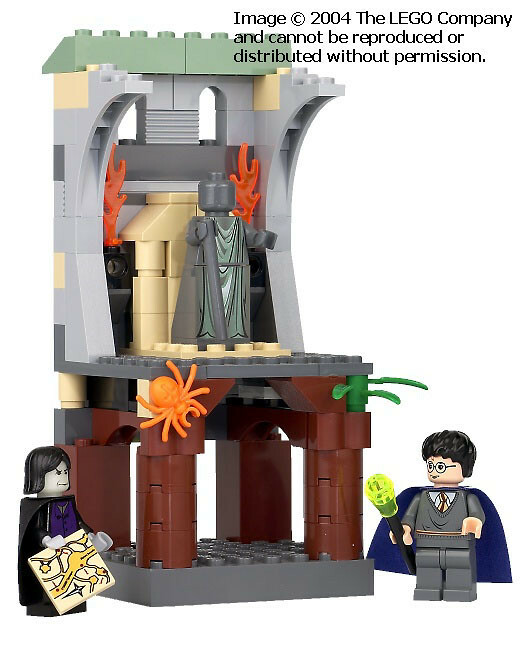 The original set was fairly cut and dry, featuring a lot of flames and a glowing Snape. Was I jealous? Absolutely but I love the 2018 Snape. I added one brick to the height of the original so I could focus on detail. I wanted to keep the earthy feel but also wanted to show that this was something built. The roots and the leaves are an extension of the leaves part included in the original, I wanted these things to wrap around and seem to actually have a purpose. The middle is probably one of the nicer changes. The light bluish grey tiled ground has a Hogwarts crest in the middle and a medium lavender(?) chest in the back to add a sort of reference to Hogsmeade/Honeydukes. The set in itself is an amalgamation of the Honeydukes tunnel and a fairly tense scene in which Harry pursues Peter Pettigrew. The top of the build didn't really need additional pictures as it wasn't too obscured. The statue had to flow seamlessly for me, thankfully there was a VERY easy solution which helps de-clutter the original set and allows for a focus on the architecture. I chose such a tall build because Hogwarts is a massive building, it really swallows someone up, that scale was missing from the first remake in the name of adding character. 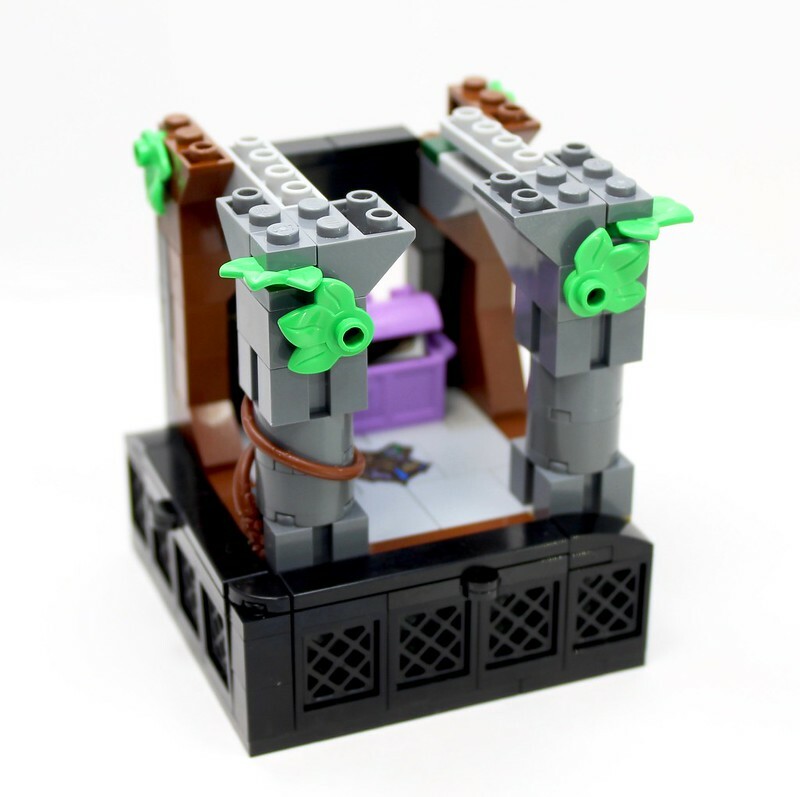 The mainstay for me and my LEGO Hogwarts is that there will be offsets by small details. I love the drawings and adaptations of these sloped and curved buildings. It's fantastical and very aesthetically appealing to me. That imbalance was shown by the candles and the brown foundations on the bottom. Fairly subtle but I felt pure mirroring would make for a boring build. 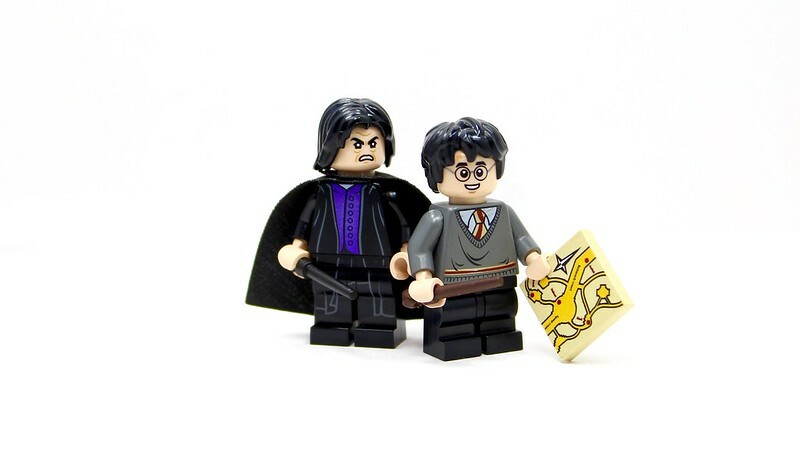 LEGO Harry Potter 4711 is next, with an addition of a character and a building. I won't be using the vignette base so I'm hoping the open space isn't too distracting! Thanks for reading! Tell me what you think! I made an imgur album full of WIP shots of this build so you can see what it looked like before a lot of changes. You may be as frustrated as I was making this! Looks great! I love that you included the chest as a play feature. I remember building these sets as a kid and the little things like that were always the best part. Thank you! I love the aesthetic of it and what a unique color to use. I’m glad this brings back the good memories! This is great! I'm hoping this scene is recreated in the upcoming sets this year. We probably won't, but hey, we can wish! Thanks as well! I like it . The smooth finish on the top is a huge improvement over the original. I like the use of the Indiana Jones whip piece. Once again great! Immediately identifiable, but very impressively detailed! My favorite bit is definitely the lower level with the greenery poking through. Thank you! I didn’t like the original set kinda just hiding the slopes, this build in my opinion looks like a slice out of something bigger. The lower level is probably my favorite part as well. Not much made me happier than shaping and designing the lower half. The top was too frustrating for me. Now let’s see if I can do it without a vignette base. Very nice remake! I hope that you remake all old harry potter set that you can. 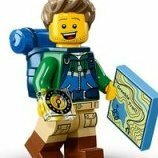 Update of sorts: I purchased 4702, 4726, and 4735. So take that as you will! Looking forward to seeing what you do next!! Man I really love these old sets remade into a more modern style. Can't wait to see 4735. Thank you so much! I was nervous about the height, so was my light box and lighting. It all found a way though. I think photography is the thing I talk about the least but it takes a lot to get a photo like that just right. Thanks again! I’m working on getting the Duelling Club as well, I’m really excited to show off some ideas! Looks soo much better to me! This would be an awesome small display set! Thanks so much! Hopefully, I stay on a hot streak! Absolutely would! 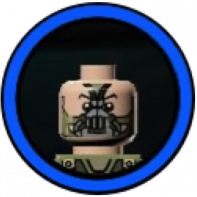 I love these 8x8's! It looks great, I love you've set the statue back into the wall, and the extra height as well. Great job! Really nice work! I love it!